Last year I attended the Knit and Stitch Show and booked myself into a number of workshops in readiness for Part 3 of the module. I was keen to have a go at some different methods of felting. 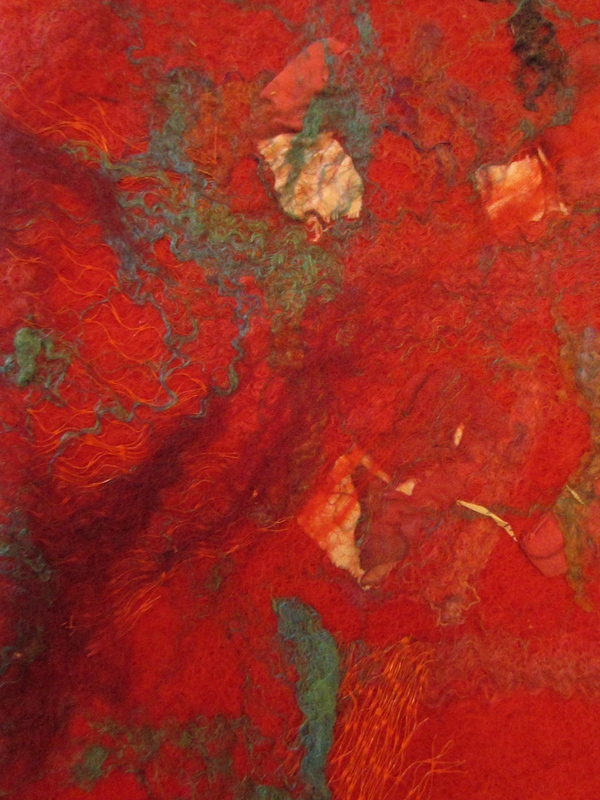 At one of the workshops I did some wet-felting; applying scraps of paper; threads; fabric; wool and some orange netting to a piece of red pre-felting. I then made it into a notebook cover. The finished product made me think of layers of paint. This is a technique I would love to try again when working from my photos of old boats, rusting boats or even peeling bark. It will be interesting to experiment with lots of different materials. So many possibilities..!